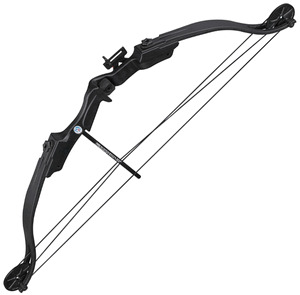 25lb Black Draw Compound Bow Set. Features deflex handle with durable composite limbs, arrow rest, and composite 1-pin site. Includes two Safetyglass arrows, armguard, two-piece quiver, and finger tab.